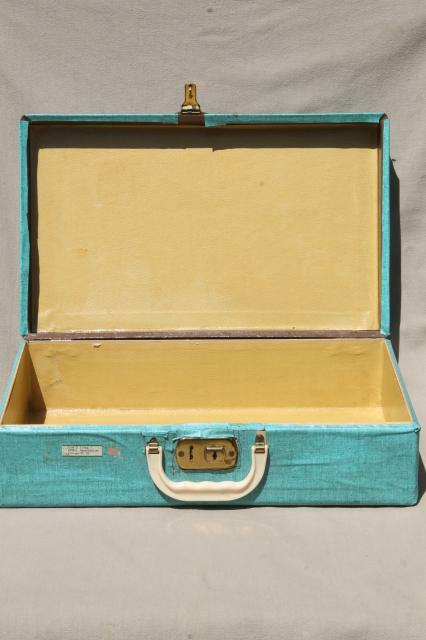 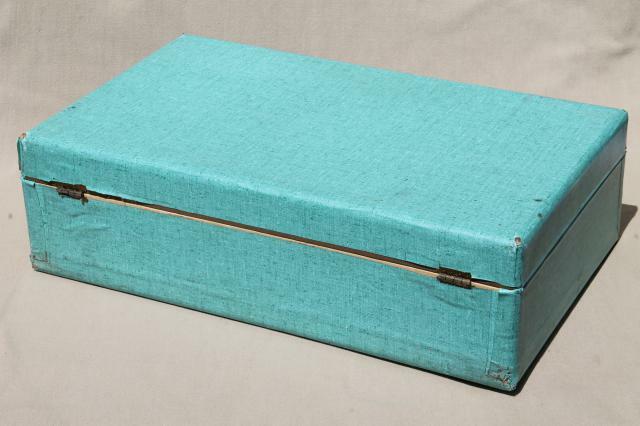 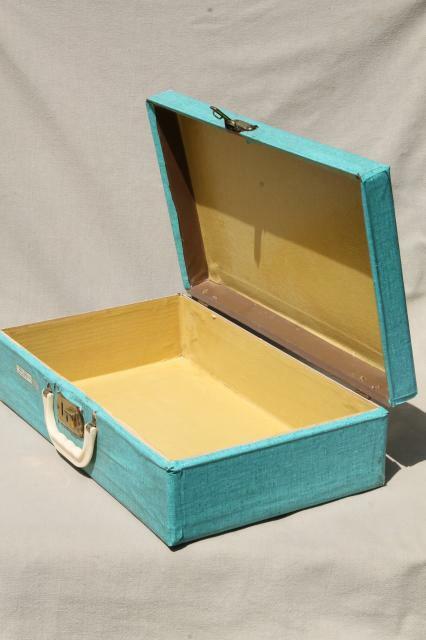 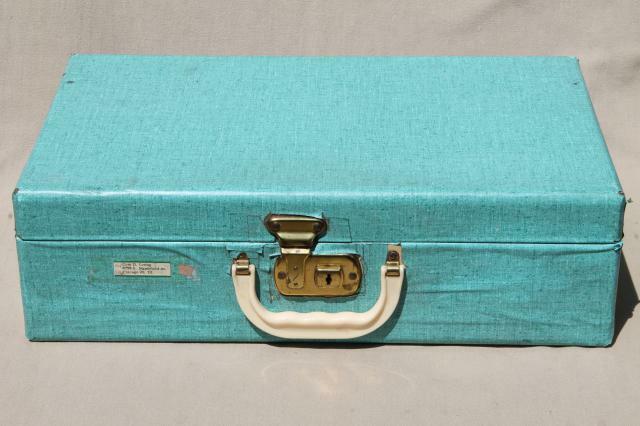 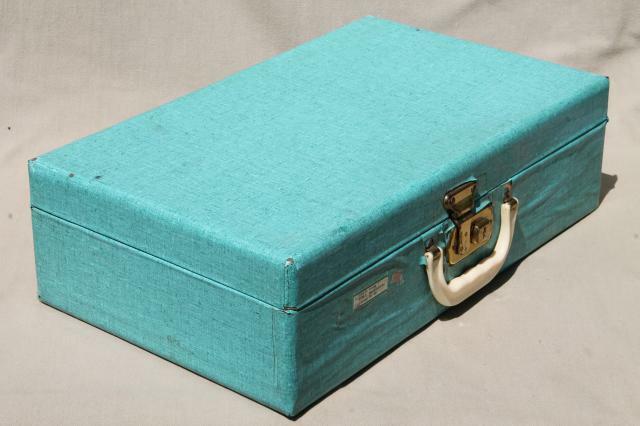 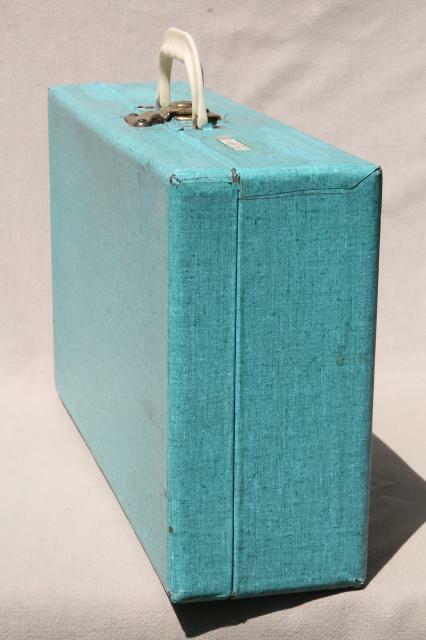 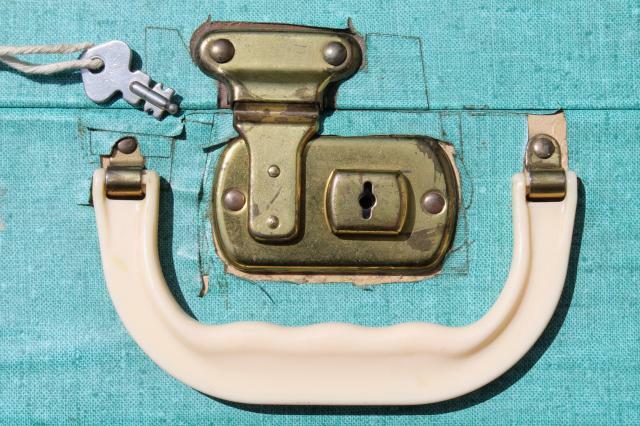 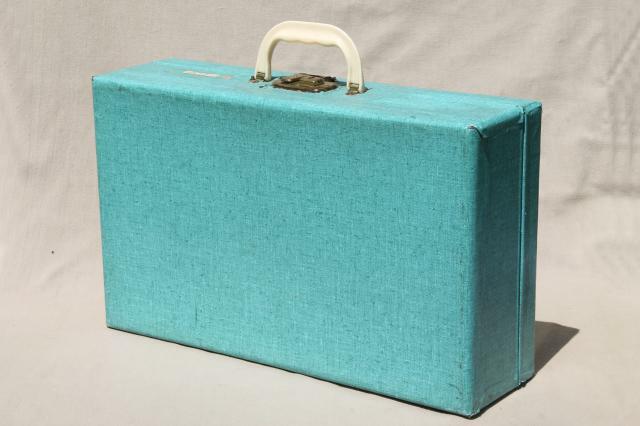 Cute little ladylike suitcase with great old contact paper covering in turquoise! 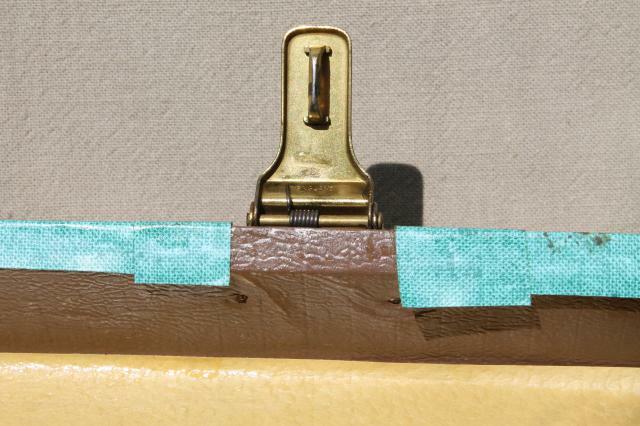 This is clean and nice inside and out, and the paper covering is very neatly applied, showing just a little wear and cracking. 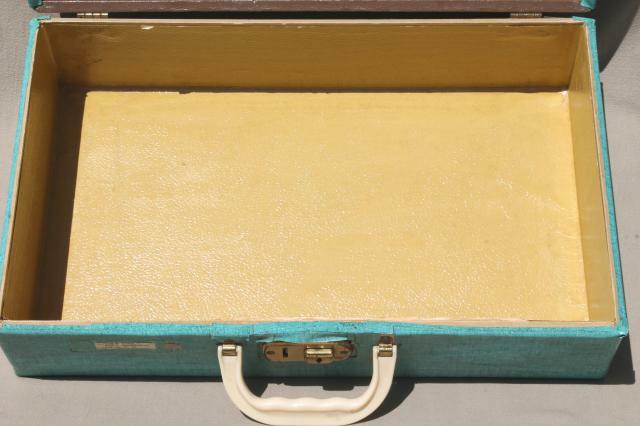 We'd expect the leatherette finish underneath is good and solid, as we think the paper was more to pretty up the color than to fix a worn suitcase. 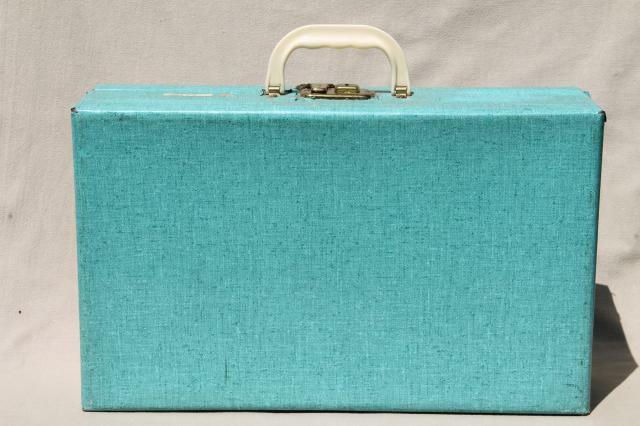 Size is 18" x 10 1/2" x 5", nicely sized for a briefcase or to carry a costume or change of clothes, or a few things for the weekend. 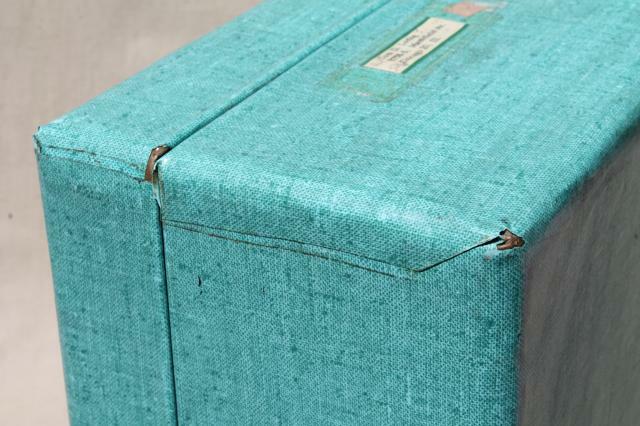 There's a paper address label on the top from the original owner.